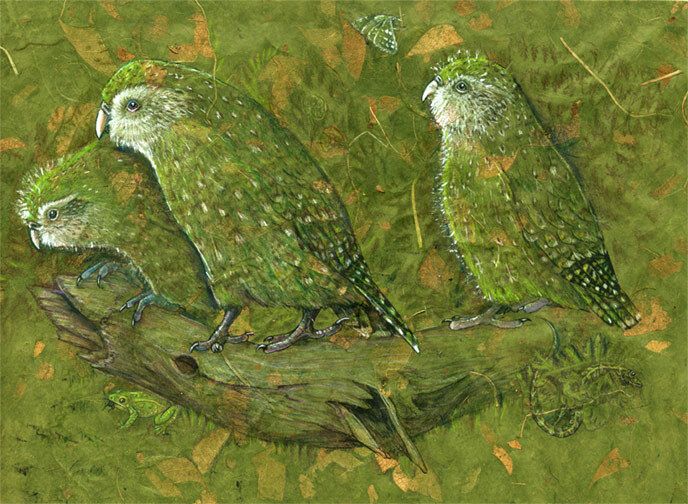 As I write this, I am looking out across the Foveaux Straights, on the far south of the Te Waipaunamu (South Island) of New Zealand, whilst sitting in the kakapo rearing facility on Whenua Hou/Codfish Island. It is cold and windy, the sea choppy with whitecaps. Freezing on the outside but warm in the heart.